The Bradford Rattlers have continued their strong start, snagging three more victories this past weekend. The Rattlers took on the Shelburne Red Wings, Toronto Moose and Bradford Bulls on the Friday, Saturday and Sunday respectively. Game one of the three game weekend took place up Highway 89 in Shelburne. Illes Gallo scored a hat trick, and Andreas Gurfeldt scored five points (1g, 4a) in a 10-3 victory. Conor Smith dropped the gloves for his first fight in junior hockey, taking on Shelburne’s Matej Bazant and goaltender Daniel Ahre picked up his second win. Also scoring for Bradford included: Mota, Smith, Norrby Scott, Gombar and rookie Cody Bateman scored his first ever junior hockey goal. The next night saw Rattnation travel to Thornhill to play the struggling Toronto Canada Moose. Bradford took advantage of nearly every opportunity presented to them, landing 66 shots on goal and stomping the Moose 14-1. Every player on the gamesheet, excluding goaltenders, netted atleast one point; with big nights from Gallo (4g, 1a), Scott (3g, 1a), Jonsson (3g, 0a), Forslund (3g, 0a), Gombar (0g, 4a) and Gurfeldt (0g, 4a) leading the way. Bradford scored seven powerplay markers in the victory. In the final game of the weekend, the Rattlers played host to the Bradford Bulls at BWG. The Rattlers were able to defeat the strong first year club by a score of 5-2. Conor Smith had a big night for the Rattlers, scoring 2 goals and 2 assists in the game. Ahre also played solid in goal, making 43 saves. Leading the Rattlers in scoring is Andreas Gurfeldt, who has 9gp 2g 28a. He is followed by Conor Smith with 8gp 11g 10a. Bradford continues their season next weekend with three games. The weekend will open with away games on the Friday and Saturday against the Rama Aces and Sturgeon Falls Lumberjacks; followed by a home game to take on the Lefroy Wave on Sunday. Puck drop will 7:30 at BWG. 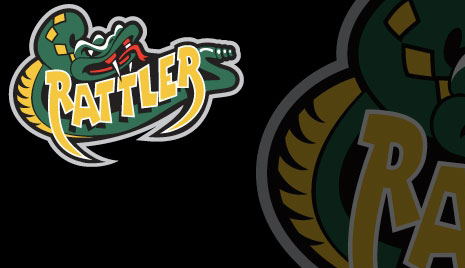 Follow the @BrdfordRattlers and LIKE the Rattlers official facebook page to stay up-to-date on the latest Rattlers news, signings, trades and game results! THOMMEN UPDATE: Nicolas Thommen did not dress for any of the three games, as he is currently in Fort Wayne skating with their ECHL club the Komets. Nicolas is training in their Main Camp with hopes of obtaining a professional contract. The Fort Wayne Komets are the farm club of the NHL’s Columbus Blue Jackets.